Here is an original design Aaron and I came up with for Kip. 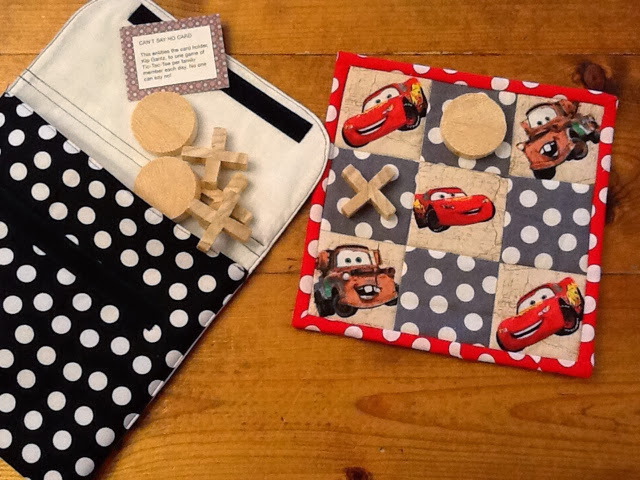 It's a quilted Tic-Tac-Toe board with wooden X's and O's, a 'can't say no' card and a Velcro pocket to keep them in. Old Navy and Dr. Dube are PAID OFF! Slam Dunk Baby Step One!